If you were hoping to buy a HomePod for your honey this holiday season, you'll have to come up with plan b.
Apple confirmed on Friday its expensive Siri-powered smart speaker has been delayed. Instead of being available in December, it will ship early next year, the company told CNN Tech. Apple HomePod will be its first big new hardware product since the Apple Watch. The tech giant announced the speaker in June at its annual developer conference. Although Siri was early to the voice assistant party, the company is late to the smart speaker trend. Amazon invented the category in 2015 with the Echo, and there are now similar options available from Google, Microsoft and Sonos. At $329, HomePod was poised to be one of the pricier smart speakers on the market, but it touts superior sound quality. Amazon's Echo line starts at $50. A Google Home Mini costs $49, but the company is also coming out with a higher-end version for $399. Smart speakers use "always listening" microphones to detect commands, then talk back with a smart assistant, such as Siri or Alexa. They can play music, spit out trivia, manage shopping lists and put things on your calendar. 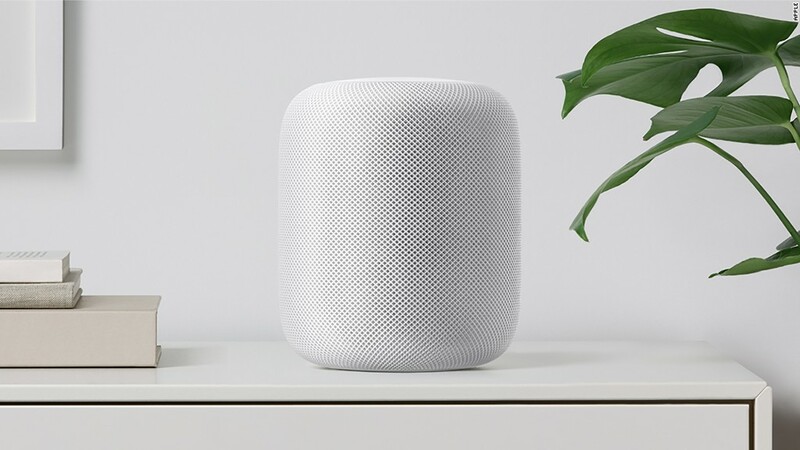 The HomePod looks like an oversized toilet paper roll covered in mesh fabric. Apple said it can detect where its located in a room and adjust its sound accordingly. But unlike other companies, Apple is hesitant to open up its speaker to third-party developers. Although developers can make apps for Siri and HomePod, they're currently limited to building things like lists, notes, and messaging. HomePod will work with Apple's HomeKit platform to control smart-home devices. But voice control is designed to work only with Apple Music, the company's $10 a month subscription service. You can stream other services to it from a smartphone, but not with Siri. It's unclear why the product has been delayed, but it will miss the holiday rush. Luckily for Apple, its new iPhone X and iPhone 8 seem to be selling well enough.